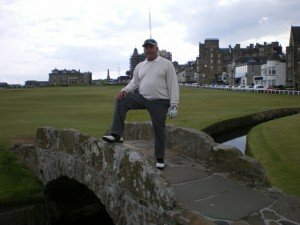 We have just returned from a 20-day trip to England and Scotland put together by Golf Vacations UK. My wife had selected GV UK after receiving several sample itineraries from other companies.It was a great experience deailing with GV UK. We had an idea of where we wanted to go and how many days to spend in each location. GV UK made some recommendations of locations to stay that were incredible. Every location had us right in the heart of the action. While we had a rental car, it really wasn’t necessary as we could walk to just about all the attractions in each location. The highlight of the trip, of course, was playing the Old Course at St Andrews, a trip that will be remembered forever. I’m already starting to think about the next trip!!! !